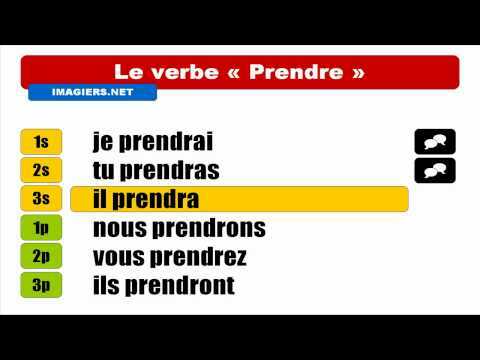 -DRE and -RE verbs follow the same pattern in Futur Simple. Je lirai ce livre demain. I will read that book tomorrow. Prendras-tu l'avion ou le car ? Will you take the plane or the coach ? On boira avec des pailles. We will drink with straws. Nous prendrons le train à 9 heures. We will take the train at 9. Vous vendrez votre sofa pour acheter votre guitare. You will sell your sofa to buy your guitar. Will they lose the game? Demain, je connaîtrai ma leçon par cœur. Tomorrow, I'll know my lesson by heart. Bonjour Jan ! You could use either, it means slightly different things: "Vous prenez du sucre ?" -> Do you [always] take sugar? "Vous prendrez du sucre ?" -> Will you take sugar [with this]? I hope that's helpful! À bientôt !